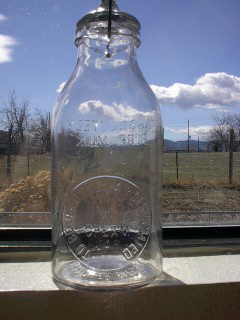 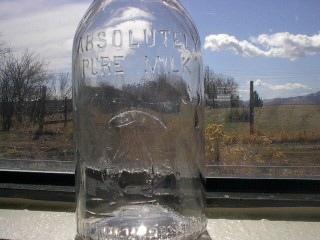 The first Milk Bottle made by the Thatcher© company. 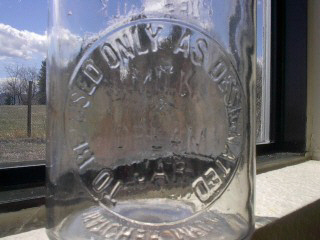 The original is on the right (clear). 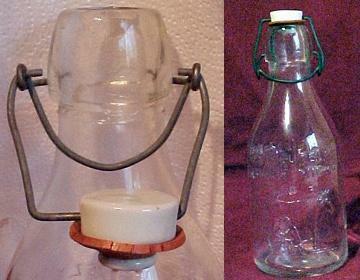 The fake is on the left and has been found in amber, green, dark blue, and clear. 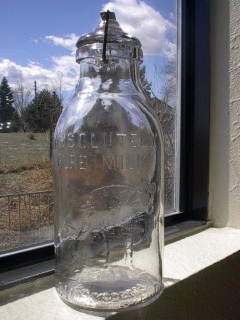 The fake does not have the milk protector on the front like the original. 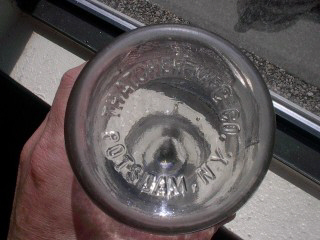 Most of the reproductions have "Cranford China 1965" embossed on the bottom. 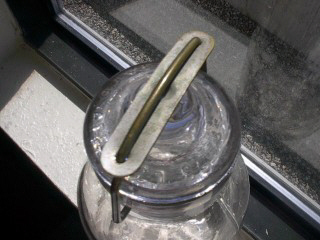 Another tip off is the real Thatcher© used a glass top held by a snap wire, the fake has a wire around the neck. 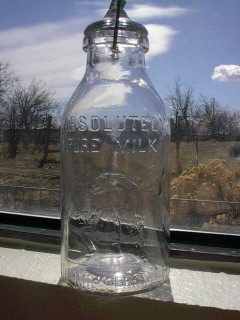 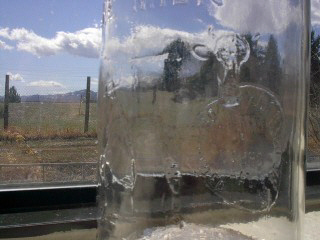 This year, a glass pitcher was spotted with the "man milking cow" embossing on the front, this is another fake which is a gift item, not original Thatcher© glass.